HOW TO SUBSCRIBE TO A PODCAST: Helpful Tips for the new listener! 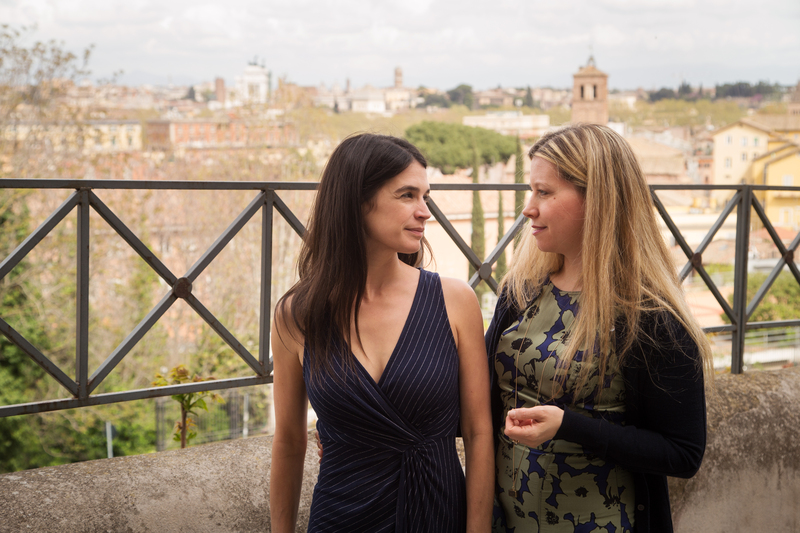 The Bittersweet Life began four years ago in Rome, when two childhood friends from Seattle reconnected in Italy and decided to explore the highs and lows of the expat experience. Over the years, the show has grown into a much larger examination of life, inspiring a worldwide community of seekers to consider a less-than-ordinary path for themselves. The hosts have two very different perspectives on the bitter-dolce-vita. Host Katy Sewall lived for a year in Rome, choosing (with great difficulty) to leave a successful Public Radio career to move abroad. She has continued her search for wonder and belonging since moving back to the States while continually struggling with repatriation. Host Tiffany Parks moved to Rome over a decade ago with a determination to stay and make it work no matter what. Through the years, she overcame loneliness, joblessness, and illegality becoming both an Italian citizen and a mother during the course of the show. Tiffany regularly shares her deep knowledge of Roman history and art too, transforming many episodes into a miniature trips to the eternal city. Katy and Tiffany are regularly joined in candid conversation by world-class writers and thinkers. Recent guests include science writer Hope Jaren, Jess Walter author of Beautiful Ruins, Tin House's Rob Spillman, historian Mary Beard, journalists Tom Vanderbilt, Emily Witt, Alan Burdick and Erik Vance, actress Jane Alexander, NPR book reviewer Nancy Pearl, and observation specialist Amy Herman, among so many others. New episode are released every Monday focused on a specific theme. The conversation is candid and funny, but crafted - not just two people turning on a mic. (Katy does have a Public Radio background after all.) Whether you’re living overseas, or not — or not yet — join us and start imagining the possibilities for your life. SUBSCRIBE and join the community. Don't be afraid to start at the beginning. Listeners regularly delight in week-long catch-up binges. Katy Sewall is a radio producer and host. When she moved to Rome, it was after 11 years at KUOW Public Radio, NPR Seattle, where she was Senior Producer (and occasional host) of Weekday with Steve Scher. She has interned with RadioLab and toured with A Prairie Home Companion. Her series The Radio Retrospective, about radio's Golden Age, has aired on radio stations all over the United States. She also a writer and a podcast consultant. Reach her at radiokaty at gmail.com. Tiffany Parks is a writer. She heads the editorial department at Where Rome magazine and with the Eternal City as her muse, she has just published an art mystery for young readers set in Rome called Midnight in the Piazza. In her spare time, she shares her passion for Rome’s history and art with tourists on private walking tours. Schedule a tour or read her musings about Rome and its curiosities on her blog, The Pines of Rome. You can also reach her on Twitter. The Guardian says "The Bittersweet Life is a great example of an immersive podcast experience and of excellent storytelling." The Wall Street Journal highlights Episode 73: INVISIBLE. My Ballard (Seattle) "The Bittersweet Life delves into a variety of life subjects that all listeners can relate to including difficult topics such as sexual assault." Town Hall Seattle: The Bittersweet Life Live! Expat Sandwich: Rome with The Bittersweet Life - Marty Walker's documentary about the show and how it came to be. A Merry Feast says "This podcast... is the one nearest and dearest to my heart. It grabbed me from the first moments of listening to it." Ciaone Italia says The Bittersweet Life is one of the top three podcasts about Italy to download. "The episodes are content-rich, fascinating, thorough, and insightful." Girl in Florence says, in her list of the best Italy podcasts, "I am adding this to my list of must-listens." Italy, Explained recommends The Bittersweet Life among the "Sites I Love!" GADGeTeCHINA says "The hosts are incredibly candid about not only their expat experiences, but also about their relationships with their families… They ALWAYS ask the questions that I want them to ask!" book-plate says "Katy and Tiffany makes me feel like I’m amongst friends - the kind of friends that will be there no matter where you find yourself in the future." 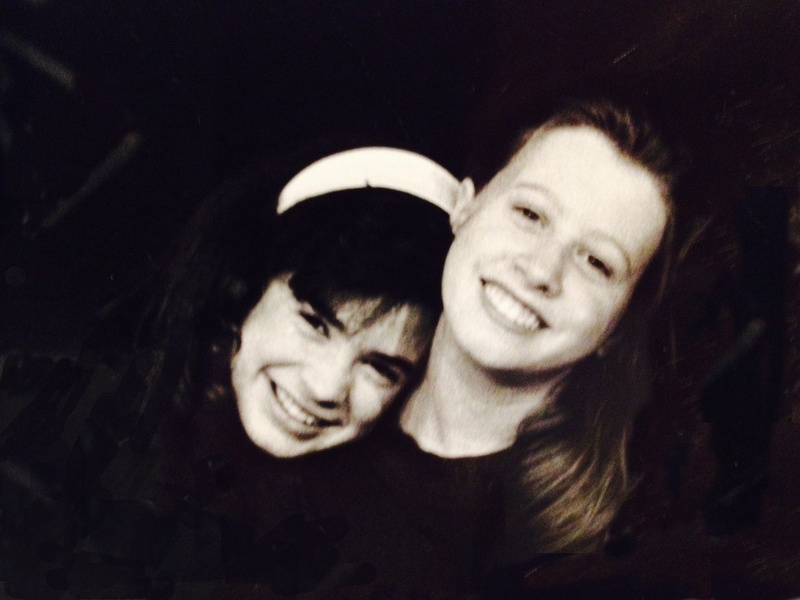 Jess On Thames says The Bittersweet Life "is a lovely expat podcast from two friends living in Rome." LaCasavloga calls The Bittersweet Life her favorite. "I'm still very grateful that I found this podcast. It's been very valuable to me." Bello Collective says "the show talks about the complex highs and lows of being an expat abroad." The Limonata Lounge says The Bittersweet Life is "my absolute favourite podcast that... I never get tired of." The Pines of Rome: Host Tiffany Parks' articles exploring Rome’s art, history, culture, customs, quirks, and curiosities. Author J.L. Spohr (Heirs & Spares) responds to the episodes about ASSAULT (Part 1, Part 2 and Part 3) in her article "Be Not Ashamed." GADGeTeCHNICA: In Defense of Self-Promotion, an article written in response to Episode 60: SOCIAL. Created by a devoted listener who posted this on social media with a picture of them crossing their fingers. Modify as you will. I love The Bittersweet Life podcast. It's a show about dreaming. About traveling. About stepping outside your comfort zone. Hosts Katy Sewall and Tiffany Parks have great chemistry with one another, they host thoughtful and interesting guests, and I am always entertained. Right now they are running a contest and I NEED YOUR HELP. To be entered to win a prize I need to get five of my friends to subscribe to their podcast, The Bittersweet Life Podcast. It's a great show with the perfect length episodes. I listen to one for every 30-minute walk. Please consider subscribing and giving it a try. It helps them keep their show going, helps me win prizes, and it will add to your life as well. I promise. Just search for “The Bittersweet Life” wherever you get your podcasts – and let me know if you have trouble, I will help you! And if you do subscribe (you should), let me know so I can keep track of my people and get entered to win. I am crossing my fingers that you'll help me. Thanks friends! © Web and show content can only be used with written permission.